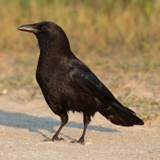 Depending on whom you ask, you may find there are 30-38 phyla, the major categories of animals based on their general body plan and developmental or internal organizations. These phyla can vary from containing only one species (Placazoa) to well over a million (Arthropoda). Coming from a Zoology background, I found that I really like taxonomy and seeing the order and relationships between animals helps me to make sense of how a rock hyrax and an elephant could possibly be close cousins. They are connected in a group called Afrotheria, a superorder of Eutheria (placental mammals) whose relationships have been shown through molecular & DNA anylases. An article came my way about very unusual sea animals found in Antarctica. 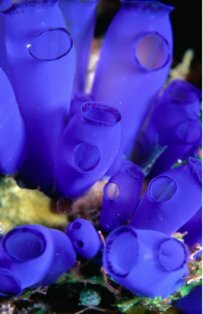 When I saw the beautiful picture of the tunicates (also known as sea squirts), I wanted to remind myself what these interesting creatures were and who they were related to in the big tree of life. Although they may look more like “glass tulips” than an animal, these creatures do eat & grow like other animals. In fact, tunicates are in the same phylum as ourselves, Chordata. Tunicates, ourselves, hagfish, fish, and other chordates all go through similiar developmental stages that include a notochord (provides support), pharyngeal gill slits (used in feeding), and a tail (helps with locomotion). When born, tunicate larvae are similar to small tadpoles, swimming about until they find a suitable rock to settle down on as an adult, cementing themselves to their new home. Next, they go through many physical changes before fully becoming an adult. Some tunicates will continue to stay afloat in the ocean their entire lifespan, going through similar metamorphosis as their sedentary cousins. Tunicates are filter feeders, with in- and out-current siphons. Food and water is filtered in through their these siphons, then expelled out along with any waste products. Tunicates are the only animals capable of producing cellulose – produces cell walls in green plants. Tunicate blood contains a high concentration of the metal, vanadium – a metal used to make Lacrosse shafts and simulated Alexandrite jewelry. Tunicate fossils go back as far as the early Cambrian – about 540 million years ago. Tunicates are said to “eat its own brain” during metamorphosis – the tunicate body digests the cerebrial ganglion – a mass of nerves that have a role similar to a brain. Some Tunicates have recently been descovered as invasive species, sometimes hitching a ride on the hulls of ships from one ocean to another. Tunicates are the vertebrates closest living relative. Tunicates are currently being studied in science for certain chemical compounds useful in fighting cancer. As a museum naturalist, Frances teaches wildlife classes, presents hands-on wildlife outreach programs, teaches summer camp, and helps care for the live animal collection. In the current issue of Sport Diver, in an article about the Phillipines, there is a very large stalked tunicate in one of the photos. It is about the same color blue as the Rhopalaea shown above. It appears to be about six feet long from the base of the stalk to the tops of the zooids. Can you help me identify it? Would you mind sending a photo to blogadmin at hmns dot org? We can then forward it to the right individual over here. Next Post GoodShop online to help the Museum!